When heading into the Great Outdoors on a serious excursion or just a fun day outing, a sturdy cap is a must-have to protect you from the elements. This classic design is made from a PU coated material and comes in a brown colour, ideal for the country. PU coated fabric is made up of a synthetic woven base fabric with a waterproofing polyurethane coating. The coating makes the fabric water resistant, lightweight and flexible. Wear it for sun or rain, it will stand up to the test of the weather. The high-quality fabric is easily maintained by wiping with a damp cloth and allowing to air dry. 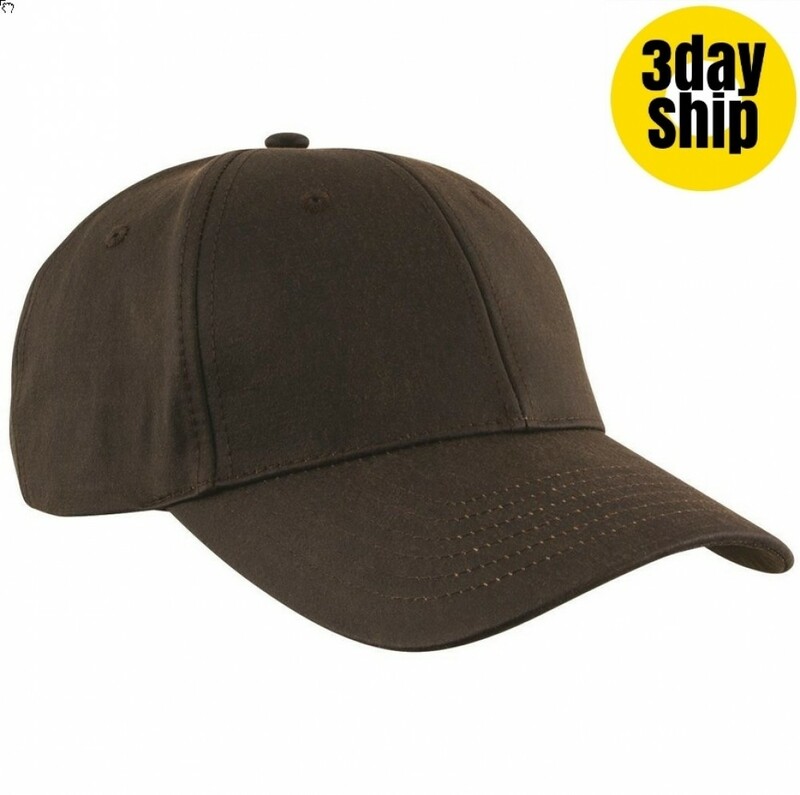 Double stitched seams and high standards of construction ensure that the cap will always retain its shape. Caps make great freebies to hand out to visitors at sports events and trade fairs. They make functional promotional items that are sure to be worn once your event is over, showcasing your brand for all to see. These caps are also great fundraising items for bushwalking, camping, orienteering and other outdoor clubs and teams. Pricing includes 8k stitches embroidery of your graphic. Choose to place your logo on the peak, sides or back of the cap. Embroidery can accommodate the multiple colours of your logo and graphics. A set up of $50 applies for orders under 50 units. Other branding options are available, including printing and badging. Check out our FAQ for details. Listed prices do not include GST. After a fast two-week turnaround for branding and shipping, your caps will be delivered directly to your door. We deliver right across Australia -- QLD | NSW | ACT | VIC | TAS | SA | WA | NT. We are not able to deliver outside of Australia. Since a signature will be required, it is not possible to deliver your caps to a PO Box.